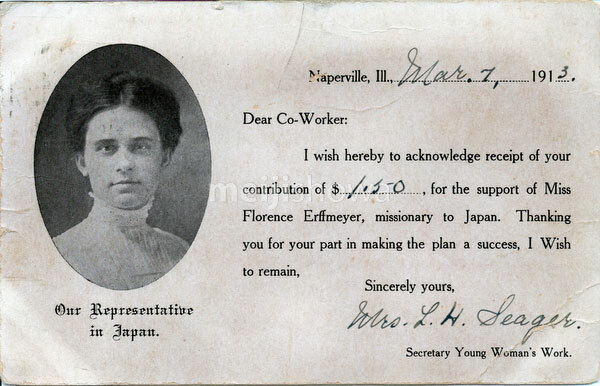 A receipt, dated Mar 7 1913, for a contribution to the missionary work of Florence Erffmeyer (1888-1959) in Japan. Erffmeyer graduated from North Central College in Naperville, Illinois. The receipt is signed by L. H. Seager, secretary of Young Woman’s Work, a US based organization. US and Canadian missionaries played a major role in missionary work in Japan.